NOBODY SAY ANYTHING – LIVE. 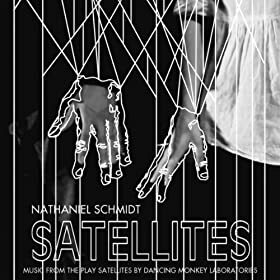 Dancing Monkey’s Nathaniel Schmidt is about present his latest musical endeavour called Nobody Say Anything. The group is comprised of Nathaniel with Chris Dadge, Mark, Limacher, and Nate Waters. They play music like you’ve maybe never heard but maybe you have – but not from them. Thanks to a Small Experiments Grant from CADA (Calgary Arts Development), they were able to put this show together and experiment with new sounds and new ways discovering sounds. It would be great if you could join them at this live concert event in fulfillment of the the grant. There will be beer and a few other special surprises. June 29th, Festival Hall, 1215 10 Ave SE, Calgary, Alberta. Doors open at 7pm. Poster design by the very cool Gregg Muller.